Long with good coverage . Breathable Light weight Material . 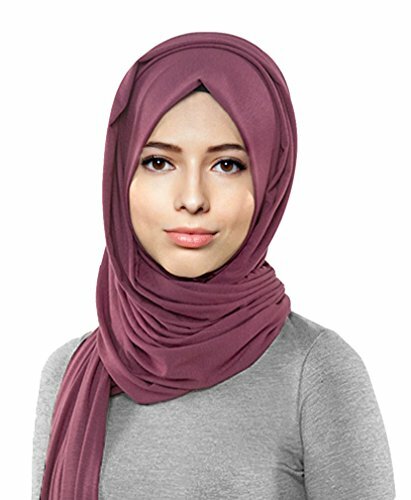 Stays on head easily even without underscarf . 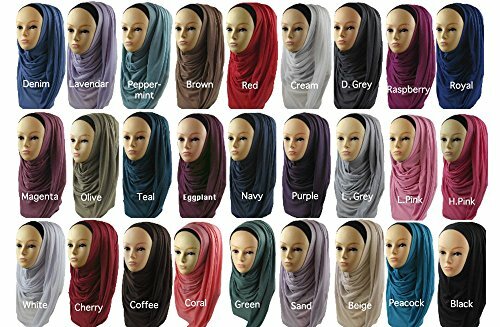 Soft and comfortable Poly Cotton Jersey Hijab. Material does not slip . Gives good Coverage . 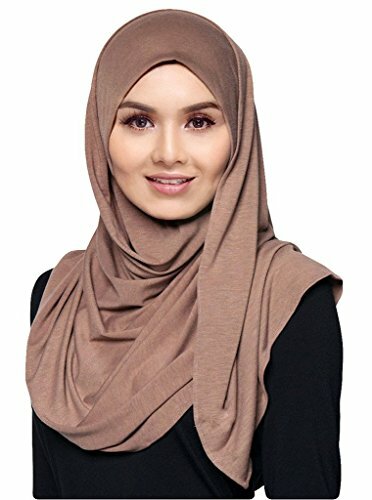 Much Lighter than Pure Cotton Jersey hijabs .